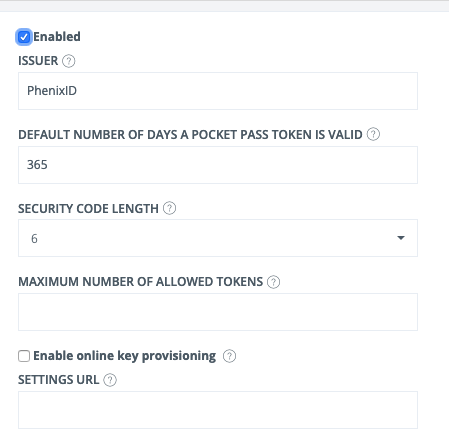 PhenixID Self Service application includes features to allow user to active themselves for strong authentication with one-time password (OTP). OTP methods allowed to be activated are OTP via SMS, Voice or mail or generated with an mobile app (PhenixID Pocket Pass) or hardware token device. Self Service also contains user enrollment for One Touch. 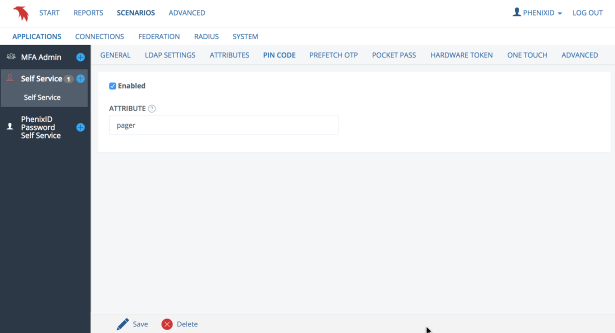 Select an existing connection to an LDAP user store or create new. Manually enter or select by using Choose the search base to use. Search base is the starting point in the directory tree structure from where searches are made. Search is done with scope "SUB". This value is mandatory with LDAP DN as required syntax. Configure name of the attributes visible and/or editable by the user. First name should name the attribute containing the users first name. This attribute must be a single value attribute. Last name should name the attribute containing the users last name. This attribute must be a single value attribute. Email should name the attribute containing the email value in the directory. This attribute must be a single value attribute. Leave blank to omit. Mobile should name the attribute containing the mobile value in the directory. This attribute must be a single value attribute. Note: Username attribute was configured in previous step, is always visible and never editable. Enable application features. If no feature is enabled, users can only view and/or edit their basic information (configured in previous step). Hardware tokens: Enrollment for hardware tokens. When enabling hardware tokens, make sure to enable the hardware token module. How this is done is described in Import hardware tokens . Note: The One Touch feature can only be enabled if One Touch is configured and enabled using the One Touch guide. If One Touch is enabled an informational step is displayed. Note: One Touch is configured in a separate guide. If online provisioning is enabled for Pocket Pass or if OneTouch is enabled, the external URL of the server must be configured. The external URL is used for constructing URL that points back to this application used by Pocket Pass and One Touch clients. For more information, see Server external URL. When guide is completed, click Create to create your configuration. When completed, the Self Service guide configuration will appear below the Self Service menu item. You can edit and delete your self service configuration by selecting it in the lefthand menu. Use the application link to open the Self Service application in a new browser window. Please note that depending on how your network is configured, the link may not work. Search base: DN to use as base for user search. Add manually or use Choose to browse your directory. Enable and and configure Prefetch OTP. Prefetch OTPs are one time password that are created in advance and downloaded by a user to be used for authentication. Default number of days OTPs are valid: How many days the OTPs are valid after they have been created/downloaded. Enable and configure Pocket Pass enrollment. 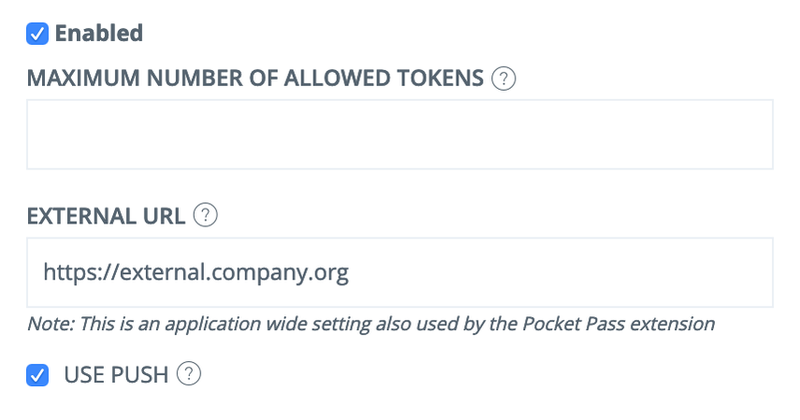 Default number of days a Pocket Pass token is valid: How long a token valid after it has been enrolled. Enable and configure user enrollment of hardware tokens. Enable the One Touch extension of Self Service. Maximum number of enrolled tokens: The maximum number of tokens a user can enroll. External URL: Server URL used by external clients. In the advanced settings tab you can configure an application specific HTTP listener. 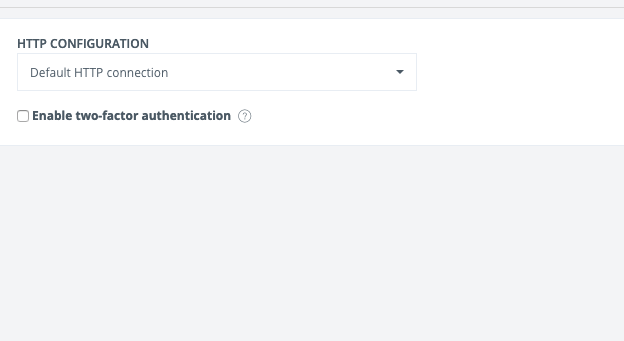 When using software tokens, online key provisioning can be enabled. This setting changes how the token key is distributed to the client. In offline mode, the QR-code scanned during enrollment contains the key. In online mode, the QR-code instead contains a one-time URI to the key. This makes it harder for the enrolling user to misbehave and save the key for later use (i.e. install it on multiple devices). When the application builds the key download URI, it will append the internal (known) path to the external address. The external address must therefor not contain the internal paths of the PhenixID server. Note: It is important to use secure communication (SSL/TLS) when using online key provisioning, otherwise the key will be visible on the network. Some environments might have a use for multiple Self Service applications.